Starup & Søn organ, the northernmost pipe organ on Earth! an organ in Old Church, the missing Marcussen? 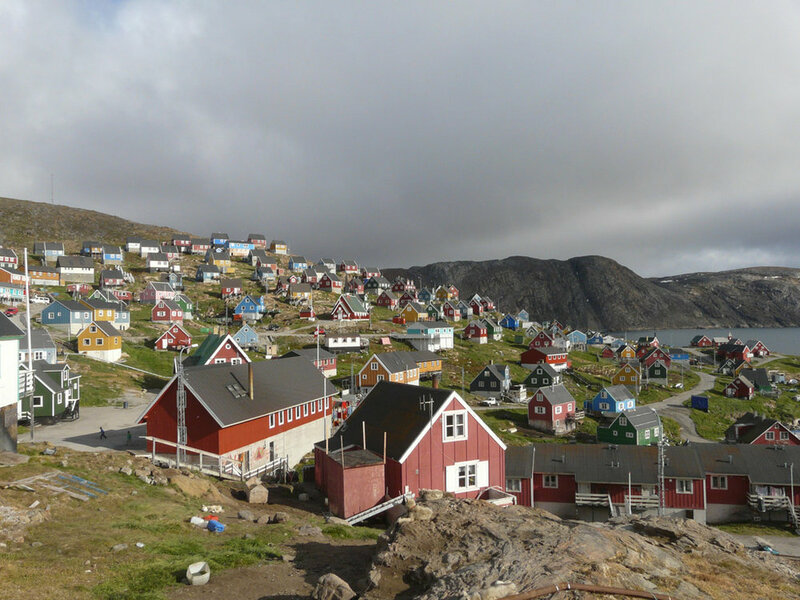 Uummannaq, the sunniest place in Greenland! 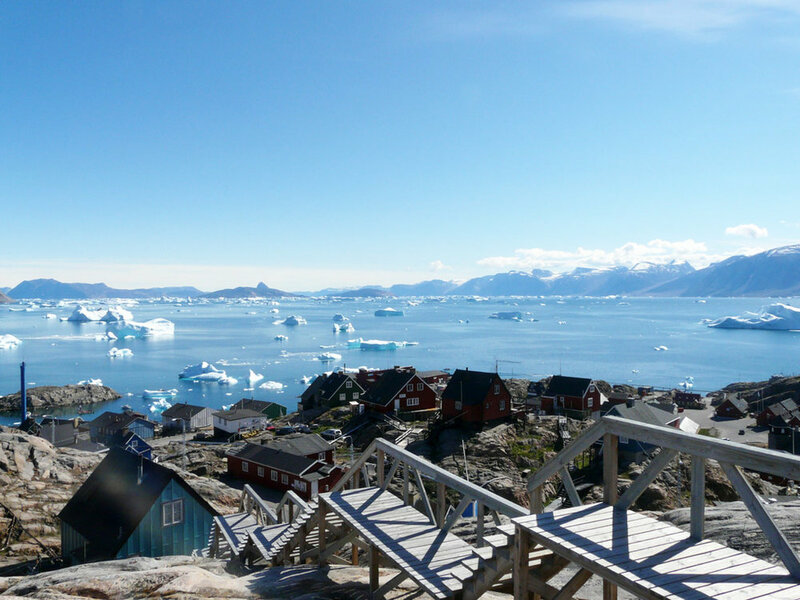 A quiet and colorful town at the southern end of Disko Bay, Qasigiannguit offers ample opportunities for day or multi-day hiking in typical sans-trail Greenlandic style. Unfortunately, in mid summer the town is overrun by a seemingly impossible number of mosquitoes. Paavia Church features a 1969 4-rank Frobenius. 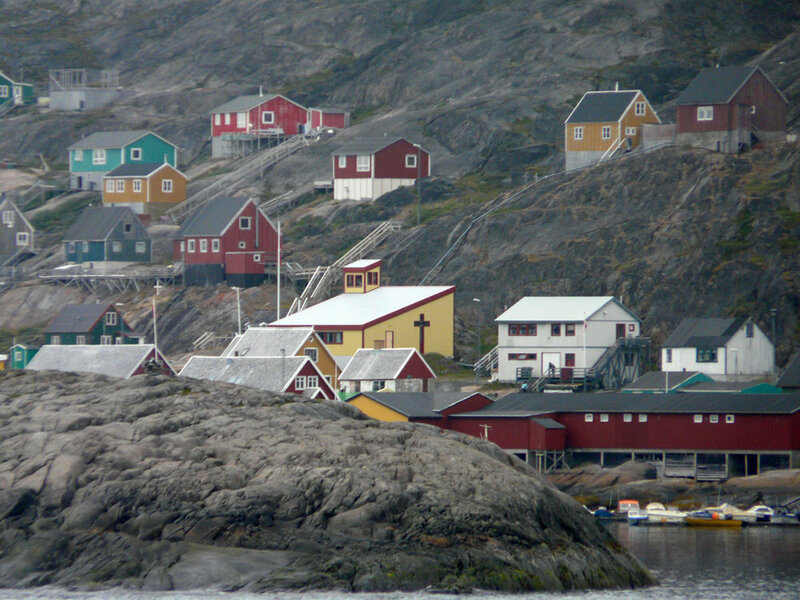 Just north of the municipal seat Maniitsoq, Kangaamiut features a similar, if even more dramatic, chutes-and-ladders townscape. 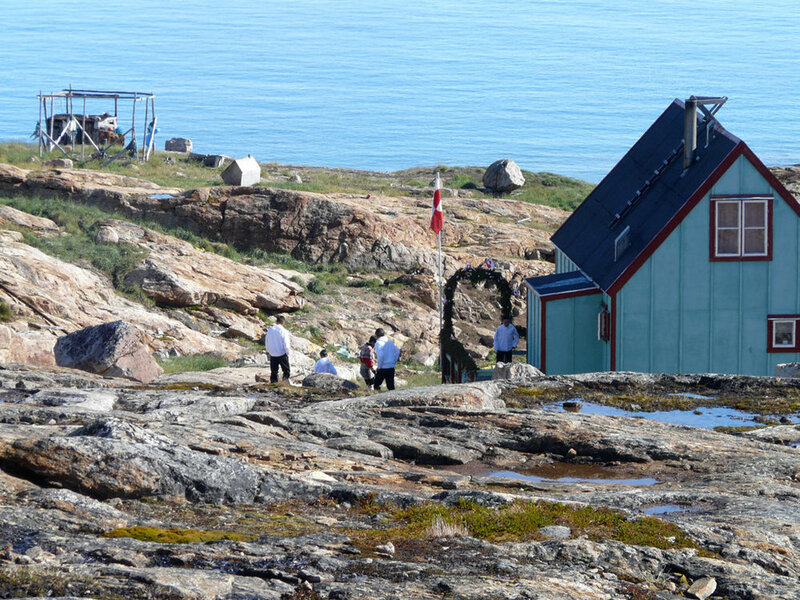 The town Church contains a 1971 Frobenius, which resided in Maniitsoq until the arrival of the current instrument in 1981. Unfortunately, I was unable to visit Kangaamiut due to typical Greenlandic fickle travel conditions. 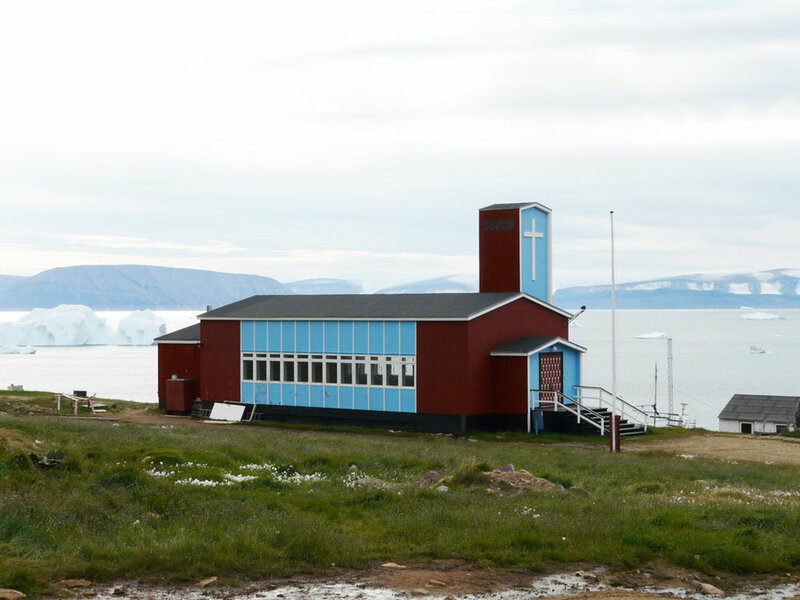 Later in the trip I was able to take a few photos of the church from a southbound Arctic Umiaq Line ferry which stopped briefly at the town (there was no time to go ashore, however). Information from the Danish Organ Registry lists the church organ as having one manual and 4 stops. Three toe levers: Hv.–Ped., Pos.–Ped., Pos.–Hv.